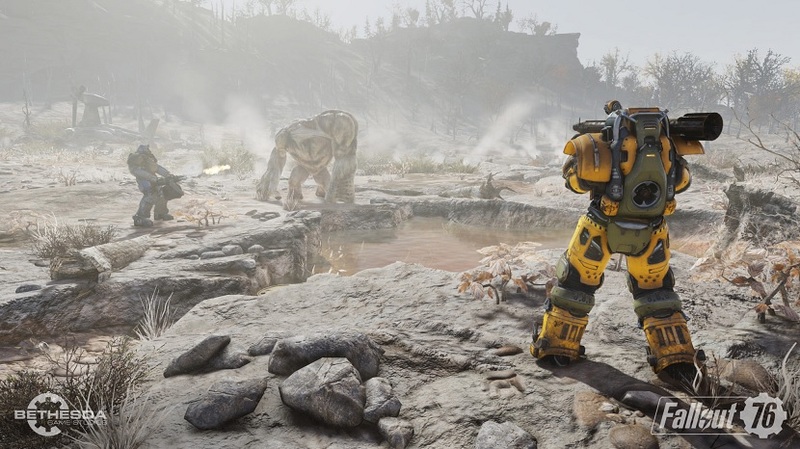 At its PAX East panel, Bethesda admitted that it faced “a lot of difficulties” during Fallout 76‘s development, which became apparent upon launch. Executive Producer, Todd Howard, said that the game was a “very, very new thing” for the developers, who expected several bumps in the road, as a result. Fallout 76‘s patch 8 is scheduled for release in April. It’ll allow players to customize their gear with item renaming, will include vendor faction updates, and will adjust turret damage among other improvements. Bethesda also teased that Wild Appalachia’s April update will have players hunting for clues as they find their way through the mysterious and deceptive “Lying Low” questline, which features a ferocious cryptid that roams the Wasteland. The confirmed details we have are sparse, but the truth begins in Lewisburg with posters left behind by a woman named Shelly van Lowe. She was in search of her brother, Calvin, who disappeared just before the Great War. Based on the posters she hung up, it would seem she believes the legendary “Sheepsquatch”—the fabled wooly terror of West Virginia—could be responsible. For more on Fallout 76, check out our review.